Most people know that losing weight comes down to reducing the number of calories you consume. The idea is very simple but sticking to an effective diet can be an incredibly difficult thing to do. 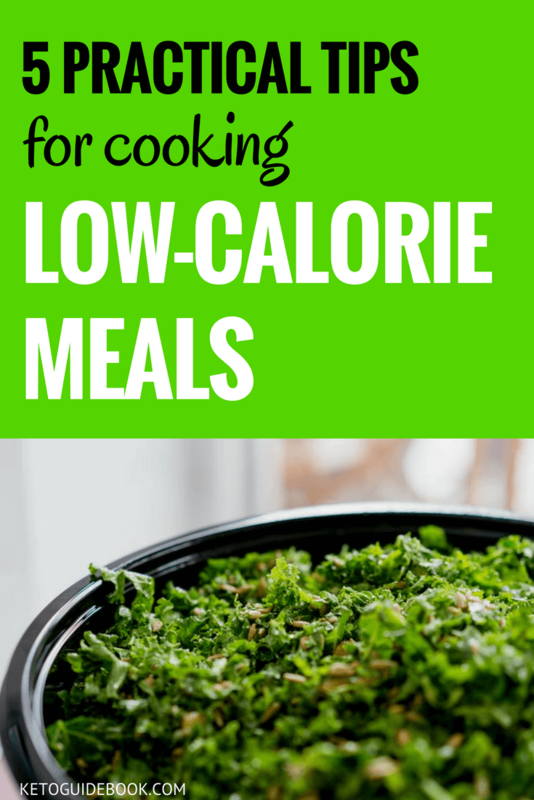 Low-calorie meals are often thought to be flavourless and unappetising, but they don’t have to be. Dieters are more likely to stick to their plans and achieve their weight-loss targets if the food they eat is tasty and easy to prepare. These simple tips can improve your chances of success by making it easier to produce delicious meals every time you step into the kitchen. Flavour is crucially important when creating low-calorie recipes because if you like the food you’re eating, sticking to the diet will be a walk in the park. People often accept bland and unappealing meals as being part of losing weight, but there’s no reason why it has to be that way. Firstly, make sure to liberally season your dishes with salt and pepper. Most underwhelming food experiences stem from being under seasoned and, without lashings of oil or butter, salt and pepper will be even more prominent in the flavour profile of a low-calorie dish. In addition to ample seasoning, the inclusion of herbs and spices can liven up any meal. Invest in a fully stocked spice rack and experiment with adding different combinations of spices and herbs to your food. Generally, herbs taste how they smell, so experience each one before adding it to your cooking. Dry frying spices for 30 seconds can also help to intensify their flavour and adds extra depth. Vegetables are stuffed full of fibre and nutritional benefits while still being incredibly low in calories. Veg is also very versatile, so it can be utilised in many different ways to cater to the tastes of even the most fussy dieter. Spiralled courgettes offer a great alternative to spaghetti and grated cauliflower make a perfect low-carb rice substitute. Vegetables are adaptable, nutritious, and full of flavour. Soups are possibly the most well-known use for vegetables in diets and with good reason. Almost any veg you have left around the kitchen can be thrown into a broth to make a toothsome and delectable soup that will satisfy any hunger pangs you’ll be experiencing. Chicken is a great choice for meat-lovers looking to lose weight due to its low-fat content. Chicken breasts, in particular, are especially lean and can provide a hearty and succulent meal with relatively few calories. Obviously, you must avoid cooking or marinating your chicken in butter or oil. Trim any visible bits of fat off any meat you buy and look for the leanest cuts available. Turkey mince is a fantastic lower-fat alternative to beef and lamb and can be used to make anything from chili to burgers. Turkey mince can become drier than beef or lamb so take that into consideration during the cooking process. Often it is better to find a different flavour profile entirely than to rely on poor imitations of a high-calorie ingredient but there are still some decent alternatives out there. Firstly, invest in a low-calorie cooking oil spray. A liberal drizzle of oil can add a surprising number of calories so limit yourself to a one calorie spray. There are, thankfully, many decent options on the market as an alternative to full-fat dairy products. Quark, ricotta, and 0% fat yoghurt can all add a decadent richness which is often sorely missed in low-fat cooking. Ultimately, losing weight is about a change in lifestyle, but good organisation and preparation can make the transition to healthy eating smoother and easier to achieve. Find what works for you and approach your diet in a way that motivates you to continue. Consistency is the key when losing weight so find low-fat meals you enjoy making and eating. By taking the time to research all the available options, you can create a new low-calorie diet which doesn’t feel like a chore and isn’t hard to stick to. Within time, your new way of cooking won’t seem strange or difficult and, as you notice the weight start to drop off, you’ll wonder why you didn’t make the change sooner.